In the extended sneak peek at Star Wars Resistance, we learn that pirates attacking the Colossus refueling platform are suddenly changing tactics, are better prepared, and better equipped. How is this possible? I’ll give you three guesses, and the first two don’t count. Also: First we had silver, then we had red, and no we have a gold-armored First Order Stormtrooper. What gives? Punch it! 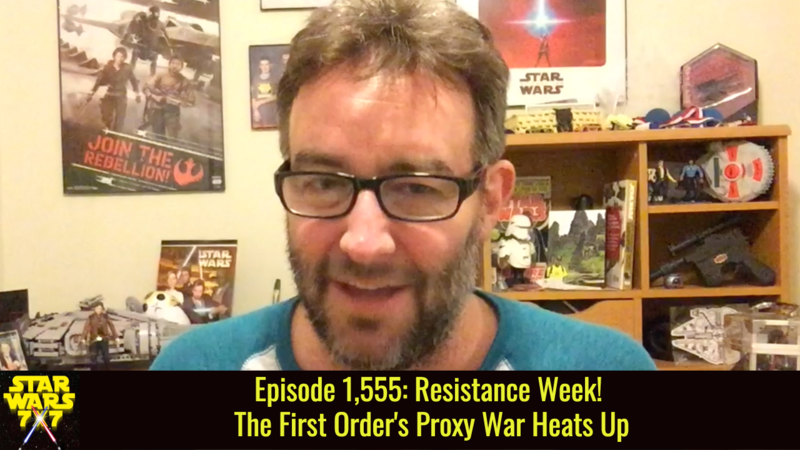 Previous Post: Episode 1,554: Resistance Week! The First Order Is … NOT Attacking?